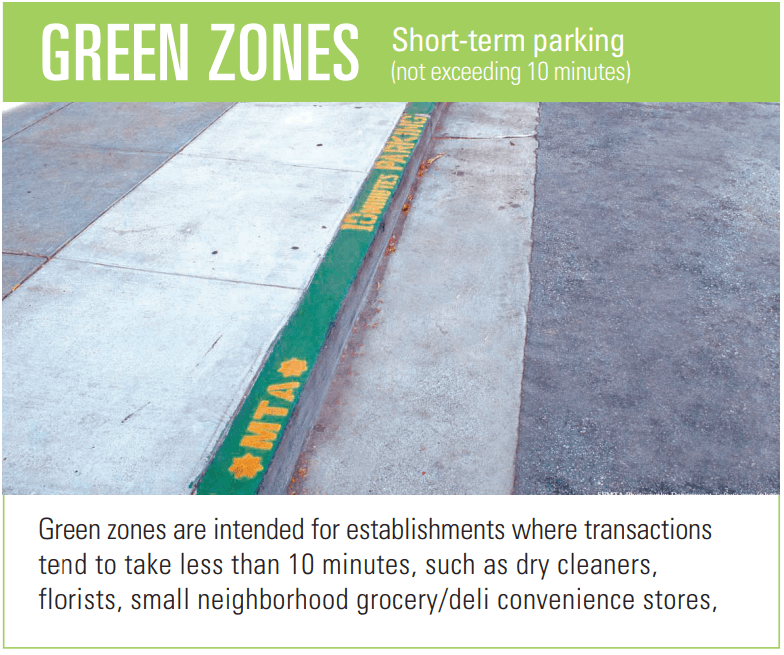 San Francisco’s loading zones, as codified in Sec. 1006 in the San Francisco Transportation Code, follow California Vehicle Code 21458, which directs that “whenever local authorities enact local parking regulations and indicate them by the use of paint upon curbs, the following colors only shall be used, and the colors indicate as follows,” with white being reserved for the “loading or unloading of passengers for the time as may be specified by local ordinace.” The white curbs have been used for rush hour commuter shuttle loading and could potentially be used for TNC loading as well, in exchange for data. Color curb brochure for applicants, here.